Mayline 6446AGBLT Pivot Arm Leather Heavy Duty Chair - Free Shipping! Top grain leather, holds 500 lbs., our low price guarantee + ships in 24 hours! The Comfort Series from Mayline provides a balanced seating environment to help reduce stress on the muscles of the thighs, back, neck and shoulders. These chairs meet or exceed ANSI/BIFMA standards, and this Big & Tall Series supports up to 500 pounds. 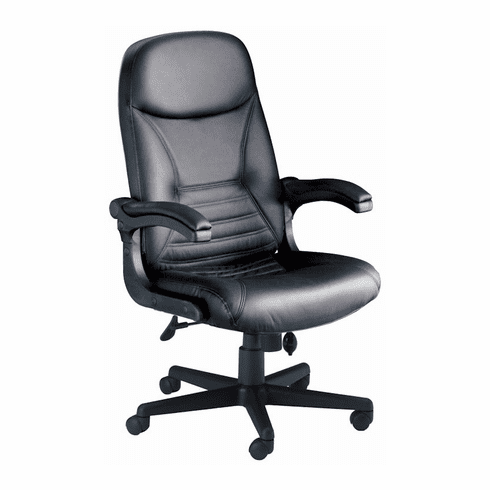 This heavy duty chair normally ships in 2-3 business days from our MN warehouse.